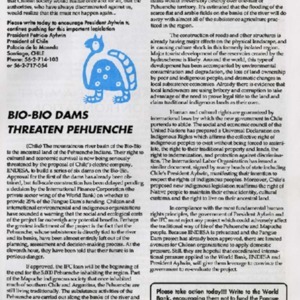 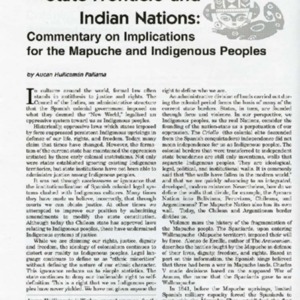 Part of the Mapuche, the Pehuenche's way of life would be terminated if the delayed project to build dams for electric power goes through and the river ends up being dammed. 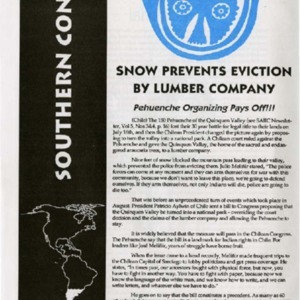 Snow Prevents Eviction by Lumber Company: Pehuenche Organizing Pays Off!!! 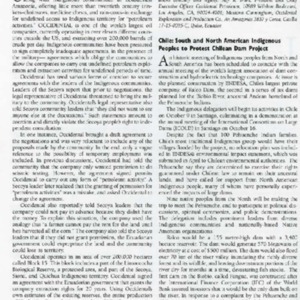 Snow prevents Indian land from being seized long enough for the land to become a national park.